A visit to George Washington’s Mount Vernon was a most memorable experience for the Executive Officers this past week. It began when our hostess, Jo Carol Porter, Chairman of the Life Guard Society of Mount Vernon, warmly welcomed us to the Quarters on the grounds of Mount Vernon for an overnight stay. 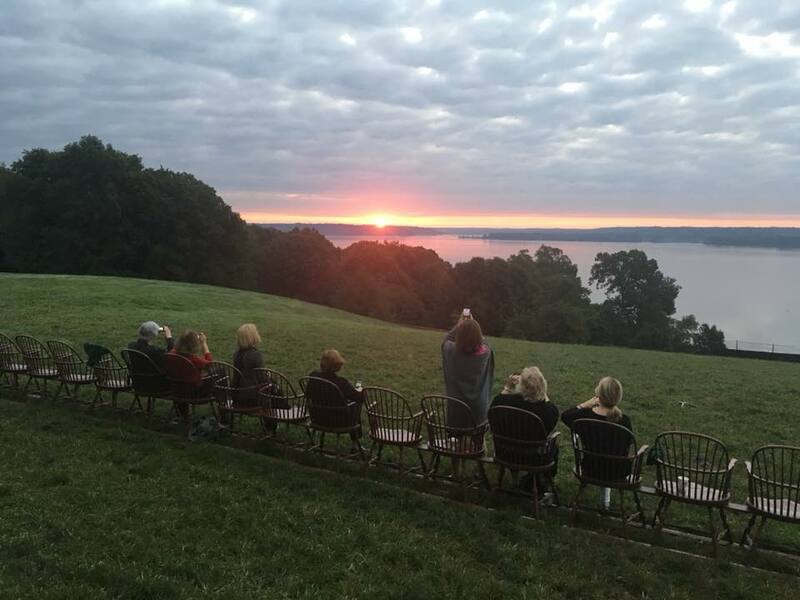 It was an extreme privilege to enjoy the private amenities of the Mount Vernon Ladies Association, whose founding members had saved historic Mount Vernon in 1853 and who have operated it as a public site ever since. On Saturday evening, President General Ann Dillon and the Executives attended the Life Guard Society’s exclusive annual gala dinner; this year’s edition benefited the restoration of the West Gate to the mansion. Upon arrival, our group was escorted by bus to the rarely seen western entrance, allowing us to approach the mansion by way of the same road used by Lafayette, Rochambeau and other guests of the Washingtons. The evening was magical as we enjoyed the setting of the sun over the Potomac. 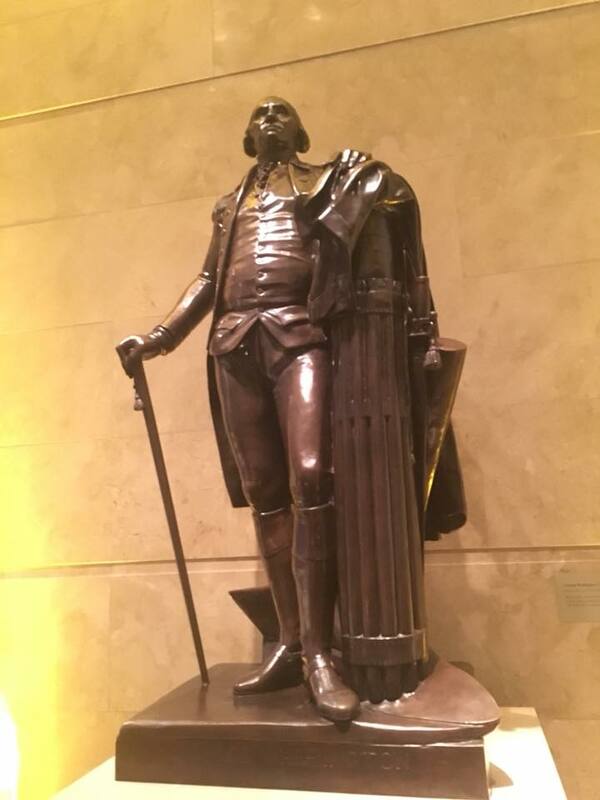 We could imagine ourselves transported to a time when General Washington was our host. As the sun went down, guests were directed to the Ford Orientation Center for dinner and program with a visit from the General himself, re-enactor, Dean Melissa. Your Librarian General was pleased to be seated beside Kevin Butterfield, the new director of the Washington Library. The library supports new scholarly research about George Washington and the Revolutionary War. The Mount Vernon Ladies Association has broadened its scope beyond the mansion to include Washington’s life, education, achievements and character. 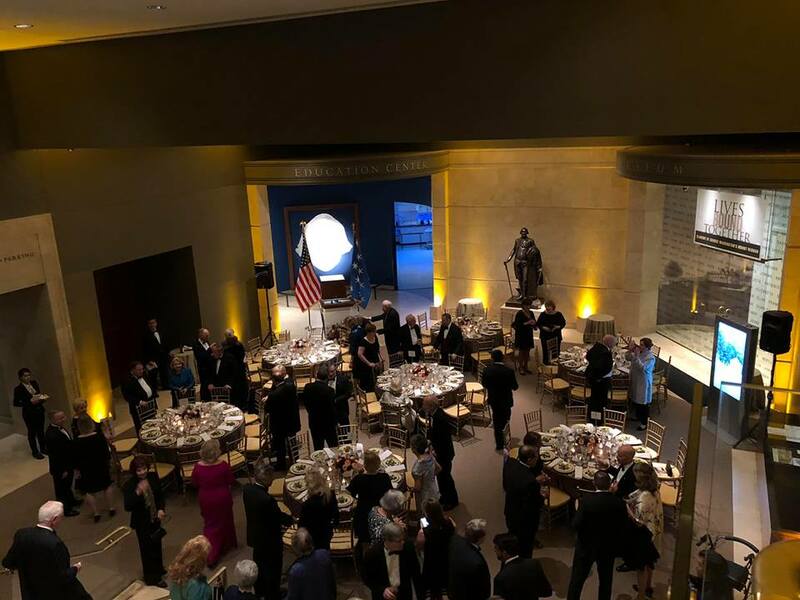 Today, their library, a 45,000-square-foot facility, houses Washington’s books and manuscripts, as well as other documents that preserve the legacy of our first president. Early Sunday morning, the Executives walked back to the mansion’s east piazza to view the sunrise over the river. The vista was spectacular. Afterward, we were given a private tour of Mount Vernon that included the cellar, farm, slave cemetery and monument, as well as the waterfront. We were surprised to learn that during Washington’s lifetime, Mount Vernon harvested more than a million fish from the Potomac annually. No one will forget this wonderful experience at Mount Vernon. Sincere appreciation is extended to D.C. Honorary State Regent Janet McFarland and Carolina Carmargo, Director of Special Gifts at Mount Vernon, as well as Mrs. Porter and her husband, Jim, for providing each of us with once-in-a-lifetime memories to forever cherish.